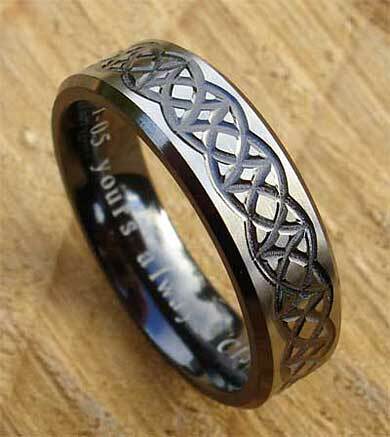 Men's Black Celtic Designer Ring : LOVE2HAVE in the UK! 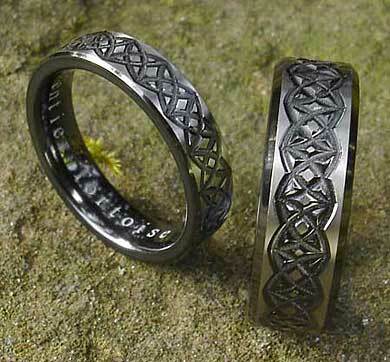 A black and natural grey men's Celtic designer ring with a centrally engraved pattern made from zirconium. 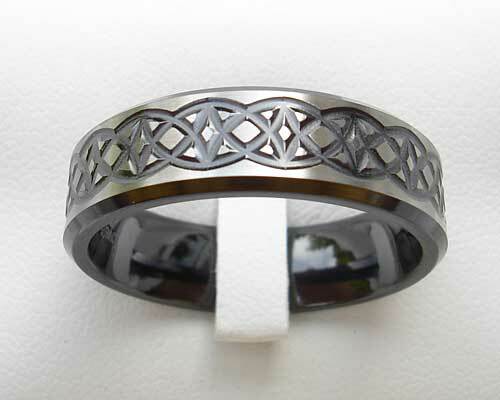 The ring is 7mm wide and has a chamfered black edge. 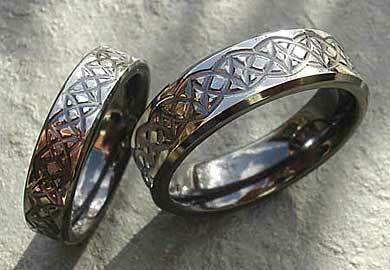 It matches the 5mm version also sold on our website and pictured as Celtic wedding ring sets below. 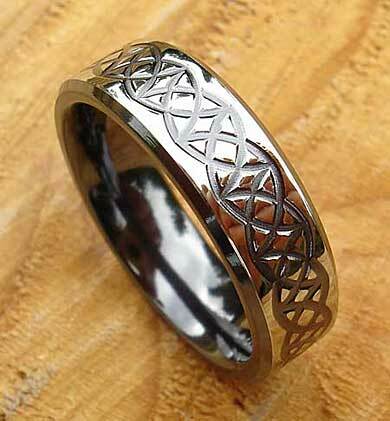 The outer patterning of this ring is that of an interlaced half circles pattern that repeats around the rings entire outer edge. The patterning is black while the exterior surfacing is grey. The finish is magnificent, with the satin version looking like silky velvet and the polished almost mirror-like in appearance. It is hard to choose between the two which is why we have pictured them both in detail on this page.